The Honda Varadero 1000 is a firm favourite for it’s reliability, mid range power, aggressive looks and manageability. 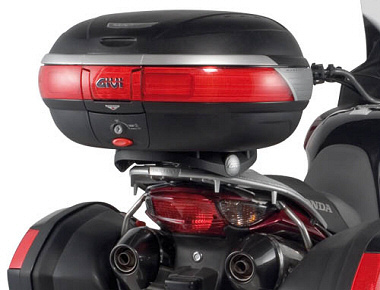 Givi have a fair few fitting kits for this bike and we’ll go though them here. 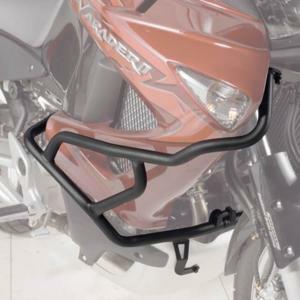 The Varadero has one specific plate made for the bike designed to hold Monokey Cases, the E222 with this you can fit any box from the Monokey range, not the Monolock range (See below). There are two pannier holders for the Varadero, one designed for the Monokey Side, and one for the regular Monokey cases. For the regular monokey cases you need the PL177, for the Monokey Side cases (The V35 Panniers) you will need the PLX177. Bear in mind that the PL177 and the PLX177 fit entirely different case designs and are not compatible with one another. 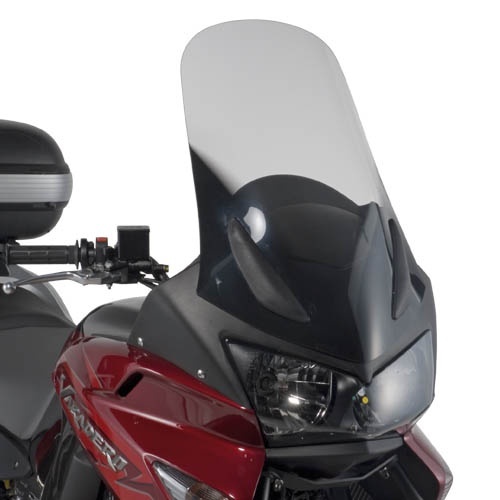 There are two different types of Givi Screen available for this Varadero, one with a tinted screen and one without. The tinted screen is the D300S, the clear screen being the D300ST, both measuring 60cm x 48cm (HxW), both of these are 9cm higher than the original. There is a specific guard available called the TN454 that keeps the engine clear if you lose the bike in cold weather or take a spill.